Let's start by sharing the kits again. I apologize that they are already sold out but as I mentioned in a previous post, due to my move in 3 months I really need to keep my inventory to a minimum so I cannot "carry" any extra kits - I will be ordering only a few kits over the customers that have subscriptions. Once I get settled in my new place that will change. There are so many more benefits to subscribing and there is absolutely no obligation. Not only do you guarantee yourself a kit for your desired subscription term but you get a discount on the price of the kit AND you can cancel at ANY TIME without penalties or financial responsibility to fulfill your subscription term. Next I would like to share with you our new sketch challenge. 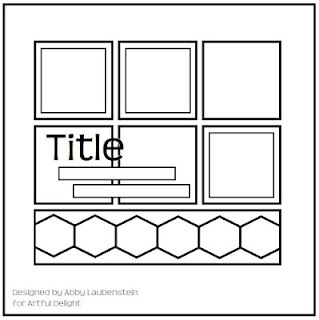 This sketch was designed by our Delightful sketch Designer Abby!!! :-) Thank you Abby for another wonderful and inspiring sketch to play along with. So, play along with this sketch for your chance to win our June monthly kit. 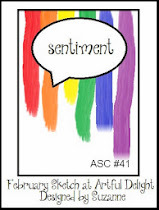 OH, oh, wait there is something new I would like to add to our monthly sketch challenge. 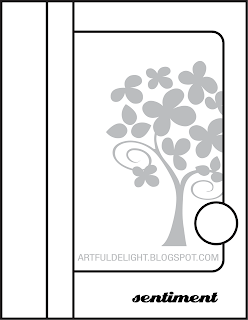 :-) It is a CARD SKETCH. 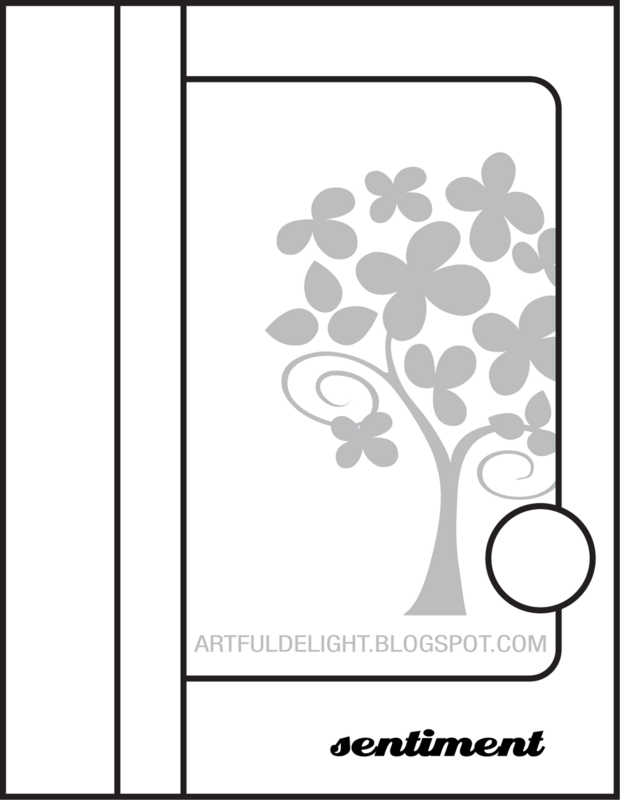 Sometimes LO sketches are hard to interpret into a card so our new Delightful Designer, Karen offered to create some card sketches for us to play along with in the upcoming months. So here is this months CARD SKETCH. When I chose the winner at the end of the month I will combine the entries and chose one winner. The winner will have a choice of which kit they would like. This is what may change in later dates - I would like to eventually have 2 winners, a card sketch winner and a LO sketch winner. 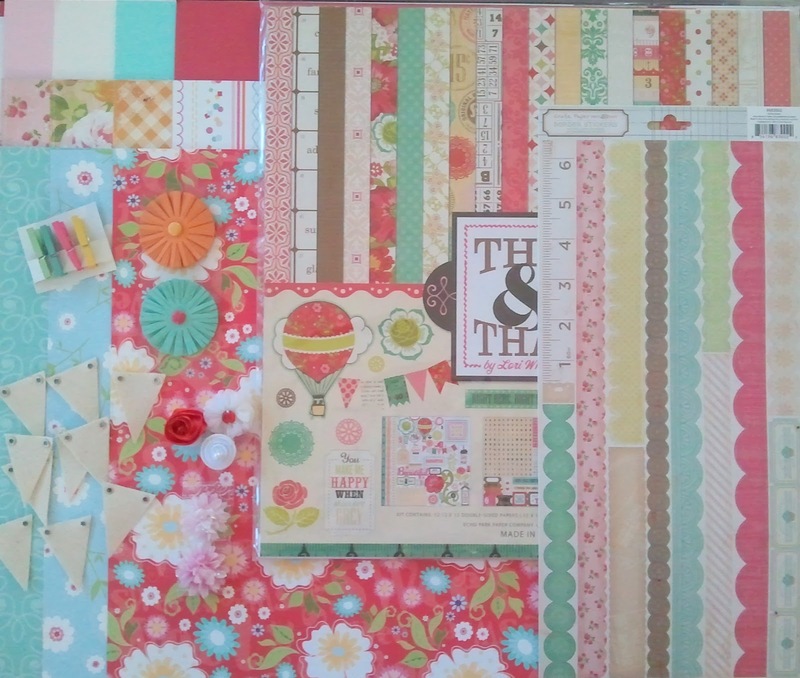 Now today I have some amazing inspiration to share with your from our newest Delightful Designer, Missy, using our May scrapbook kit AND our May LO sketch. Can you say WOW!!! Amazing!!! I am amazed at all the detail our designers put in to their projects; misting, inking, fussy cutting, and layering....it is all beautiful. 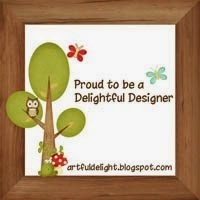 For more details and inspiration or just to welcome Missy to the team, please stop by her blog. We will be sponsoring two places this month so be on the look out for updates on where and when those will be. 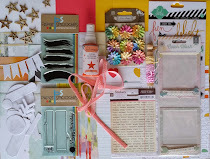 One challenge you will be playing for your chance to win our May scrapbook kit and the other challenge you will be playing for your chance to win a $40 gift certificate to our store. WOW, wow, wow!! Alright well I think that is it for now which is good because my hand is starting to cramp from all this typing (lol) and my dogs are begging to go outside. You are for real going to add Mr Huey's to the store?!! Along with all those Paper Smooches stamps??!! Oh, I'm in heaven. The sketches look great, lots of room for versatility! And look at Missy's layout, it is amazing, one talented girl there! I love love love Missy's lo!!! Sooooooooooooo fun and bright!! Missy's layout is beautiful, this kit is perfect for her..love her style! FAN-tastic!!! 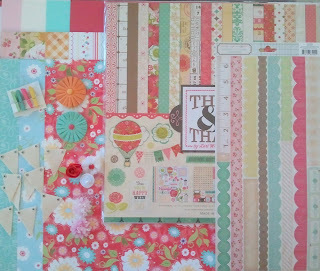 I am LOVING the addition of a card sketch and I am LOVING Missy's layout! Gorgeous! Wonderful! And hooray for TWO inspiring sketches!!! Awesome layout!! Love the sketch and the card sketch! Fabulous sketches and AMAZING layout!!! I looove that there are two sketches to play with now...that is an awesome idea! great layouts from the design team too! Thanks, ladies!! I couldn't wait to jump on that sketch...it's amazing! And this kit is very delicious...I was like a little kid on Christmas morning tearing into it! So much fun! I LOVE the card kit this month. Can't wait!!! LOVE the card kit this month!! Can't wait to play! I'm in trouble with the misters... Stunning layout and man, I'm bummed that I missed out on the May set... is it June yet??? Missy did a fabulous job with the kit and sketch! I love how she colored the banners!!! Great idea also to introduce the card sketch!! Click here to donate to help support my giveaways! I LOVE offering giveaways but sometimes shipping can get pretty pricey. I would love to continue offering these to you (my readers) so any help you may be able to give would be greatly appreciated. 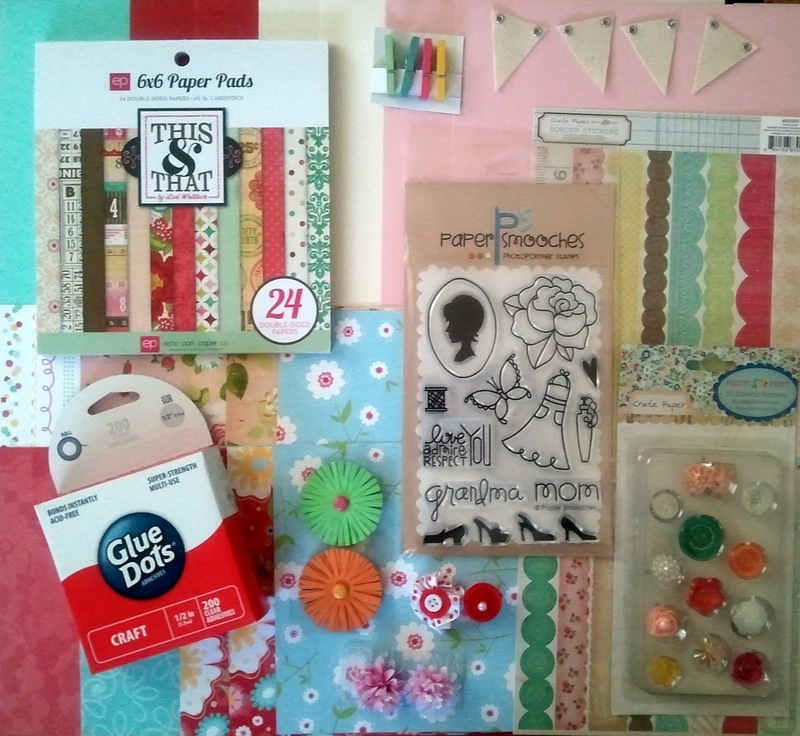 Want A Chance To Win The May Scrapbook Kit??? 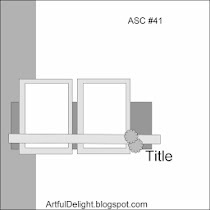 Copyright © 2011 Artfuldelight. All rights reserved. Simple theme. Powered by Blogger.